After CEO Jeff Weiner discussed the mission of LinkedIn, Senior VP of Products and User Experience, Deep Nishar, discussed the company approach to design and iteration, which is extremely interesting. He says that since January 2009, its members has gone from 32M members to 175M+ members. 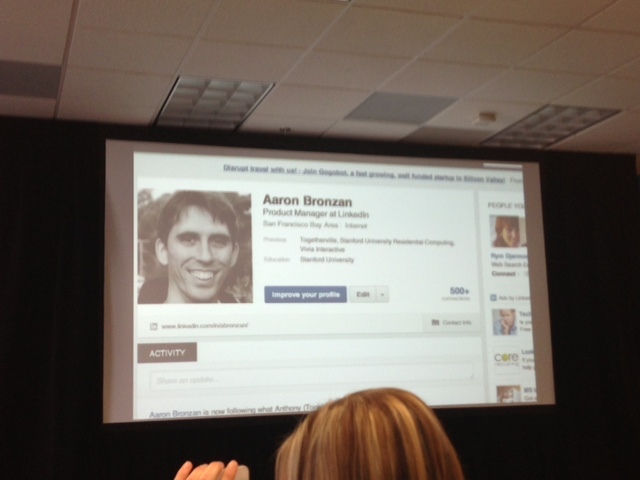 Aaron Bronzan, Product Manager announced an overhaul of its core product, Profiles. That’s the big news here today. It’s been rebuilt from the ground up, and we’re taking a look at it now. 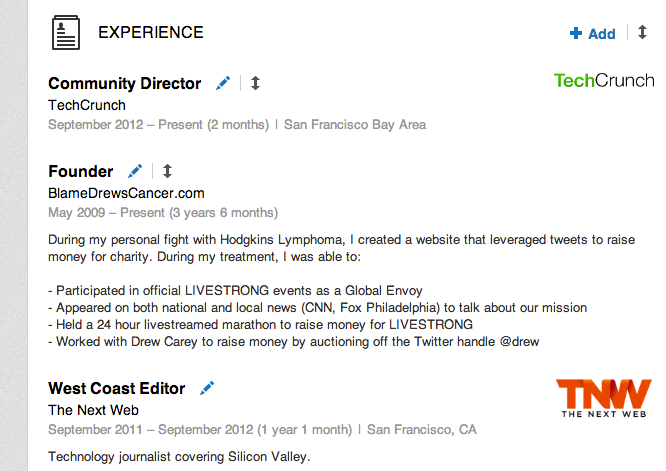 LinkedIn has made it super easy to add new things to your profile, such as skills and has added people you may know. There is now a visualization of profile completeness, which is rad. 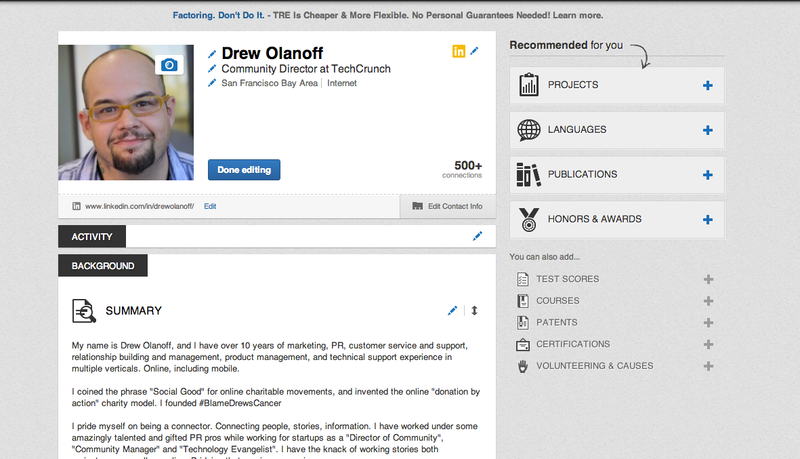 You’ll notice the brand new “Improve Your Profile” button, which is way nicer than saying “Hey, add your college”, etc. to your users. There’s now the notion of cross-referencing your details with connections. You can see where you’re alike, or have crossed paths in the past. 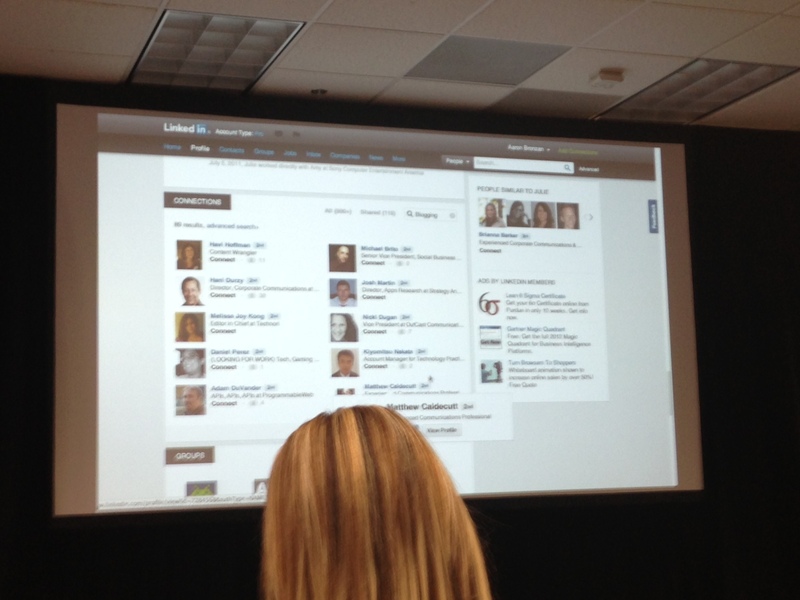 The idea here is that you’ll want to add more data, so that you can have a better experience with LinkedIn. The more you share, the more accurate your profile is, the better LinkedIn can do to match you up with people you might know, or might want to know. 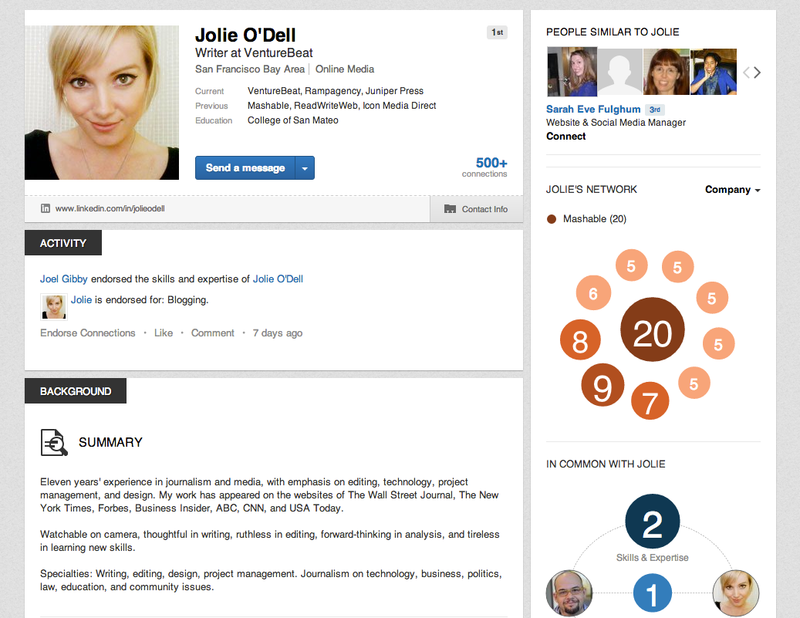 “We’ve made it easy for you to build and manage your own identity on LinkedIn. You can now stay engaged with your network and get insights to help you stay informed every day”, Bronzan says. The product update will be rolling out today. My fiancee’s first reaction? “It now looks like Facebook.” Is that bad? You can view our original coverage of the live event here.